J.Anbazhagan DMK MLA of Chepauk - Thiruvallikeni Constituency who is also a Kollywood producer speaks about top stars in Tamil cinema for an exclusive interview to Galatta’s Makkal Adhigaram. In this interview, he shares about popular star’s political stint recently and his opinion about the same. He continues to say Rajini is not in his mind regarding politics and he doesn’t even have a voice. He also adds he will even produce his movie and not believe his political entry. When asked about Kamal, he states that his worth is only about 3-4% votes and he himself would have realized the same. 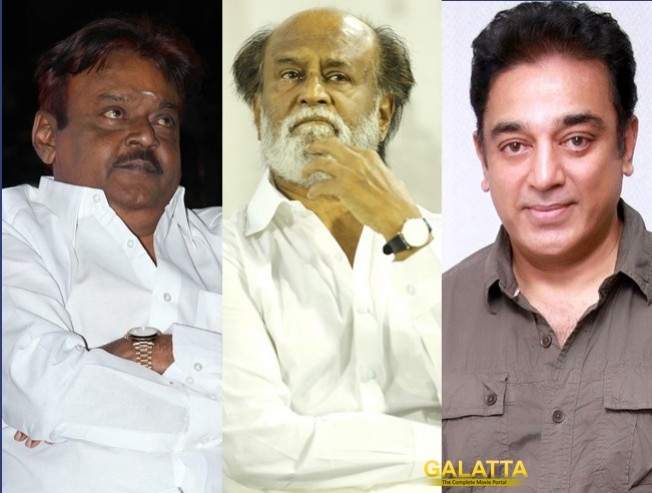 He also mentions these two stars can only fill Vijayakanth’s place and not anything more. He also further adds these actors see politics as post-retirement plan.